Ice Melt Comparisons: Which Ice Melt is Best for Ice Removal? Blog Ice Melt Comparisons: Which Ice Melt is Best for Ice Removal? 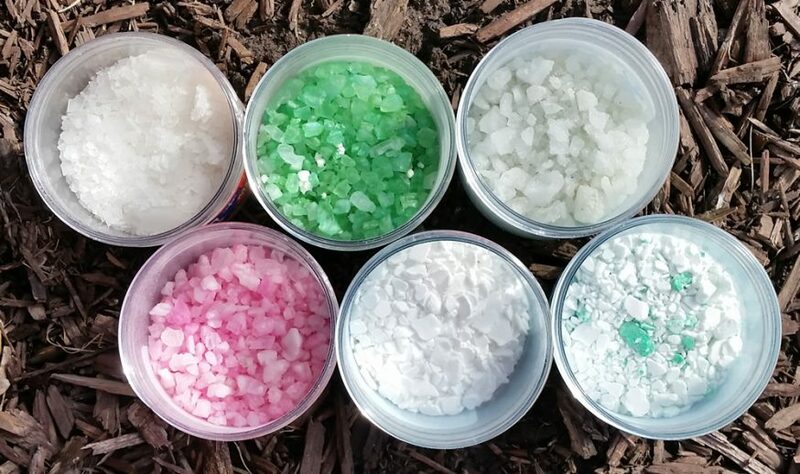 It goes without saying that there are a lot of choices for ice melt on the market today…so how do you know which one is best for you and your needs? We’ve come up with this of ice melt comparisons, in the hopes to help you decide which ice melt is best for ice removal if you go it alone. You’ll notice that there are pros and cons to each, so the “best ice melt” for you really depends upon your circumstances and needs. Ask us anything about ice melt or snow removal. Comment below or send us an email. Calcium Chloride ice melt is the most common deicer available on the market today. It’s cost-effective and works in extreme temperatures down to -25 degrees. It generates heat for fast action melting when in contact with ice or moisture. However, it is known to damage grass and plants when overapplied and can cause some concrete damage too. Calcium Chloride works very quickly, so if you’re in a bind, this is the ice melt to use. Magnesium Chloride is much more effective than sodium, and it’s considered environmentally friendly. It’s effective in temperatures down to -13 degree. It comes in different shapes: pellets, pastilles and flakes. However, you’re to be advised that this ice melt should be used sparingly so it doesn’t damage concrete and plants, and pets (especially those of an advanced age). Interestingly, Magnesium Chloride Flakes are also used for dust control. Urea is probably the least effective of ice melts, because it’s not capable of working in temperatures below 25 degrees and it takes longer than most deicers to start working. However, it’s very environmentally friendly, causing no damage to concrete or plants, and is safe to use around pets. So, if the weather isn’t too severe, this may be the ice melt option for you. Calcium Magnesium Acetate is most commonly used in commercial applications, such as in parking lots and walkways. It is considered to be less corrosive than other ice melts and it is fully biodegradable. The only drawback is its price as generally the most expensive option and the fact that it isn’t effective at extreme cold temps. In fact, studies show that it only works well in temps above 20 degrees. The key with ice melt application is to use less than you may instinctively want to apply. It takes some time to learn about how much is best to use to make sure you have enough for safe ice removal, but not so much as to damage the environment. Also, humidity and temperature play an important role in determining with ice melt is best for that specific storm. So if you’d like to take the guesswork out of ice management, leave it to the professionals. For more information about Rasevic Snow Services or our experience with ice melt solutions, contact us today. If you are located in Maryland or the Washington DC area, we would love to help you with your commercial snow removal!